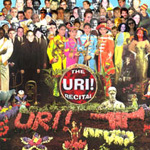 On Friday night, twenty-eight lucky finalists from the reality show, Who wants to go to a Halloween party? braved the rainstorms and descended upon Sterling for a night of pool, drinks, and babies dressed up like animals. Anna spent all week baking, and provided witches' fingers, kitty litter cake, and troll liver squares. Erin brought drunken hobo eyeballs, which (depending on where the alcohol pooled in the jello) were either 0 proof or 190 proof. 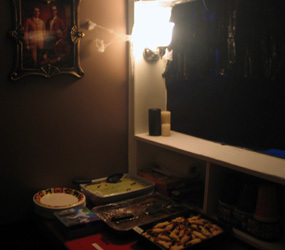 I provided the more traditional foods like pigs in a blanket (60 devoured in under 30 minutes), really really really scary potato chips, and various dips. Because my jazzy posters don't really fit the theme of a Halloween party, I used Photoshop to paste skulls and scary faces over the likes of Louis Armstrong and Duke Ellington. 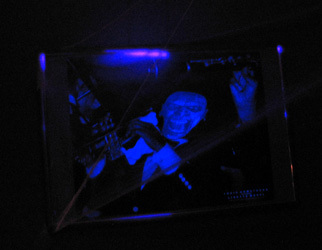 Under the blacklight, we achieved a very cheap 3D-glasses effect. 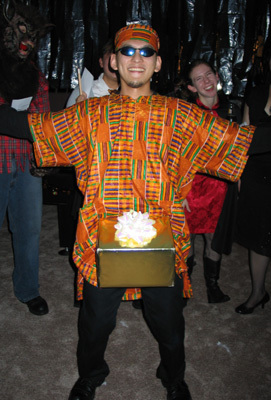 My costume was "A Very Special Kwanzaa Box", which won first place in the Funniest Costume category and awarded me a $10 gift certificate to Target (graciously provided by the host of the party). Anna came as Little Bo Peep, exploiting her child as a Sheep. Combined with Ben as the Big Bad Wolfman, the family won the $25 Best Overall award. Ben also got the Scariest award. 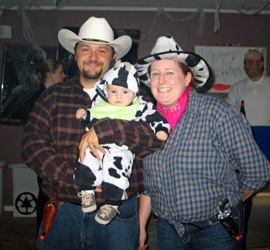 The Blankenships arrived as a family of cowboys, bringing the capacity of "plaid" in the room to near critical levels (see also, the Wolfman and the Construction Worker). 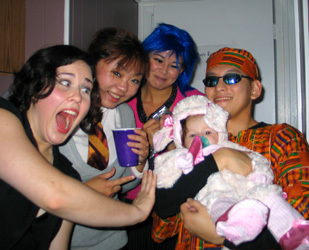 Whenever the party got really boring, I spiced it up by stealing the Sheep and carrying it around the room. Among many other costumes, we saw an assortment of gangsters, a kendo master, a vampire, Idontknow (the third baseman), a hockey player, a girl and her teddy bear, Sailor Moon, Hermione, and the Lion and the Witch (with a Wardrobe) (Most Creative category winner). Anna's parents also gate-crashed the party in complete ape costumes with boobies and we had five weenies without costumes. 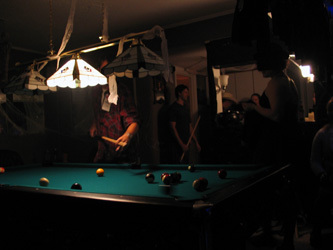 Besides the costume contest, massive amounts of food, and trying to convince Ben that no, we did not need another drink, there were healthy rounds of pool going on at all times. 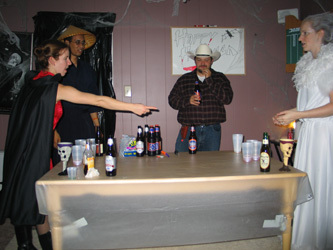 Later, the Vampire challenged the White Witch to a game of beer pong for a case of Turkish Delight.